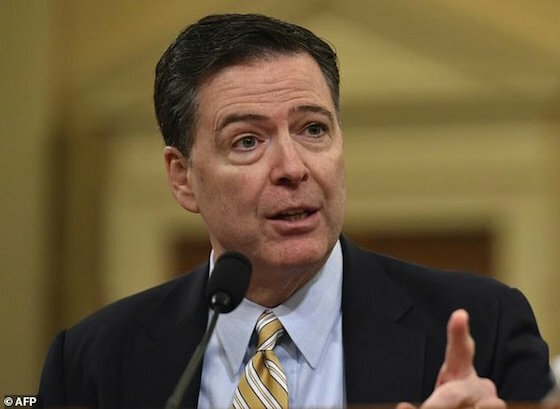 President Donald Trump warned sacked FBI chief James Comey Friday not to “leak” details of their conversations to the media, suggesting they may have been taped. In a series of early morning tweets, Trump assailed critics and the media over their response to Comey’s ouster, and threatened to cancel daily news briefings at the White House. “James Comey better hope that there are no ‘tapes’ of our conversations before he starts leaking to the press!” fumed the president, whose dismissal of the FBI director on Tuesday has triggered days of turmoil in Washington. Trump has revealed he asked Comey on three occasions whether he was a target in a probe into alleged Russian election meddling, stoking allegations of presidential interference. In an interview Thursday, he insisted he always intended to fire the FBI director, undercutting the initial explanation that he acted on the recommendation of top officials who criticized Comey’s handling of a probe into Hillary Clinton’s emails. Apparently stung by media scrutiny over shifting accounts of how and why Comey was fired, Trump suggested he may call off daily media briefings at the White House. “As a very active President with lots of things happening, it is not possible for my surrogates to stand at podium with perfect accuracy!” he tweeted. Opponents have claimed that Comey’s shock sacking was a bid to stall an FBI investigation into alleged Russian meddling in the 2016 election, which is also looking into possible collusion between the Kremlin and Trump’s team.